We come to an end of an intense phase. We have had the presence of several Divine Personalities in the last few months and many wonderful special energies have been flowing to the Earth. After this phase, it is now the period for us to reflect on the past few months, stabilize our Sadhana and allow the energies we have gathered so far to assimilate within. This period of internalizing will continue till the end of the year. This is the period to connect to Light more and tune up to its vibrations. We are used to getting a lot of assistance from the external— people, Guru, Deities etc. The Sadhana of many individuals is also connected to the external factors. From around the mid of this year, we are in a new phase. The help and assistance from the Divine Personalities and energies “outside” is reducing. The Sadhana is shifting inwards, and this is more prominent now. The strength and Wisdom we gain from our Meditation and Sadhana is the one that will assist and guide us further. The radiance from “our Light” will be showing us the way forward. This is the phase to strengthen these aspects – Meditation, acceptance, and our connection to the Light, in the months ahead. Our Spirituality and positivity, Love and patience will be tools to navigate the future churnings. The faster we strengthen these within, the easier the journey ahead. Life may bring new challenges and difficulties. Let this not deter us from becoming positive and spiritual. In fact we try to use these as opportunities to understand our spiritual strength and capacity. Our thoughts and attitude while encountering an issue show us our spiritual state. Let us work sincerely towards our Inner Transformation. Connecting to the positivity in our life, being grateful and manifesting all that we understand as spiritual is the way ahead. The effects of the energies of the Equinox and eclipses in September will physically bring a lot of changes all over the world. For some they may be positive and for the spiritually unprepared, it may not be so pleasant. We regularly keep praying for Love and Peace on the Earth. The outside World may not reflect any semblance of these but we have to continue with it. Our belief and faith in Prayer is important. Let it always be strong. When more people join in this, the vibrations manifest better. We are in phase of transition where the transformation occurring is at the individual level, the inner level. This is a huge task which is underway and will take time. But the collective prayers reach and helps those who are open. Let us strengthen our prayers for World Peace and Love. 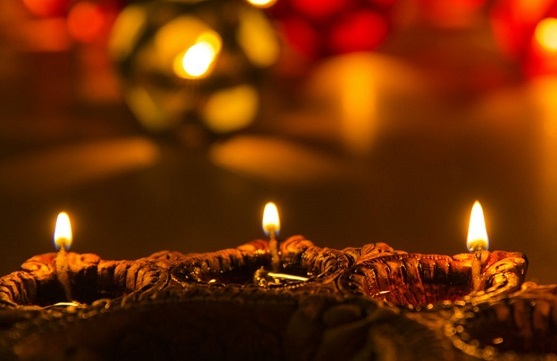 We celebrate the festival of Light, Diwali this month. On this occasion, we shall also have the presence of the Purusha and Shakti of 2017. Let us connect to them with our love during this period. We can place our prayers and concerns to them and also experience them for some time. On the 7th of October, the Rishis will be anchoring energies from all the Planets of the Solar System on Earth. These energies will cleanse and prepare the Earth for the next phase of Pralaya and will also aid many of the pending projects of the Divine to materialise. Offer your respects and Love to all the Planets. Then imagine a lot of bright-Golden Light within and keep experiencing it. After this Full Moon Day, many changes will begin to take effect on the Earth. They will manifest gradually and each of the changes will begin to mirror our inner conditions. The issues that trouble us the most will show us the inner things we have to work on. We will be able understand our strengths and weakness better and it would be beneficial if we can make a sincere effort towards overcoming the shortcomings. This Purnima will be intense and also contain energies of healing. It is a wonderful day for sankalpas and affirmations and for Sadhana. The energies help us to accommodate and accept the ongoing changes better and also mentally tune up. During Purnima, the Rishis can also be contacted more easily and we can internalise better. It is the day to spend on reflection and meditation. The birthday of Valmiki Maharshi is observed on this day. We can connect to him, offer our respects and love and also spend some time experiencing him. The tradition of the festival of Diwali began in the times of Lord Rama when the people of Ayodhya celebrated his return after killing Ravana and rescuing Sita. The people decorated the entire city with lamps and celebrated this joyous occasion by bursting crackers. The tradition of the festival continues even now where the festival of lights is celebrated for three days across India. People greet their relatives and friends, share sweets, decorate their houses with soft glowing lamps and burst fire crackers. The new moon day, is the day of return of Lord Rama to Ayodhya. The preceding day is known as Naraka Chaturdashi. This was the day when the evil rakshasa, Narakasura was killed by Lord Krishna. The victory of God’s Light over the darkness of the demon is celebrated on this day. The day following the New Moon day is known as Bali Padyami. It commemorates the defeat of the demon king Bali at the hands of Vamana, an incarnation of Lord Vishnu. These 3 occasions are symbolic of the victory of Light over darkness and hence also known as the festival of Lights. This is the occasion when energies are available to remove the darkness present within us and replace it with God’s Light and purity. On all these three days let us pray for Peace, Healing and more understanding amongst us. Let us meditate more and absorb the special energies available. This year, on the Diwali Amavasya, we can connect to our ancestors more easily. Guidance and love from the ancestors as well as clearing all the karmas relating to them is important for this phase. Let us be patient throughout this process. Sit for meditation and pray to the Rishis and to the Pitru Devatas. Then send a lot of bright-Golden Light to your father’s side lineage. After some time send the bright-Golden Light separately to the mother’s side lineage. Pray to the ancestors for more guidance, support and love. Begin with 12 rounds of Pranayama with deep-dark Blue Light. Then offer your respects and love to Goddess Mahalakshmi and to the Rishis. Also connect and offer your respects to the Purusha and Shakti of 2017. Finally connect to the energies of Diwali. Pray for more Light, prosperity, happiness, peace and Love in every individual’s life, as well as on Earth. Then, imagine a lot of Violetish-Blue Light coming from above and allow these energies to fill your body slowly and gradually. Imagine your whole body to be radiating and shining with this Light and keep experiencing this throughout.